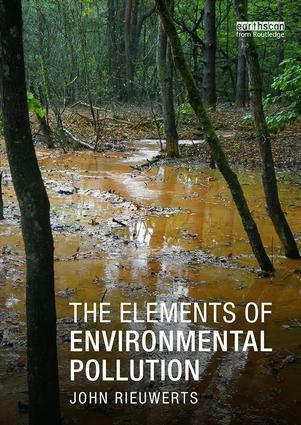 Showcasing authors from a diverse range of environmental disciplines, this collection of books will be a valuable resource for those interested in developing their careers in education for environment and sustainability. Monday 22nd April 2019 is Earth Day. Here is a collection of titles dedicated to the conservation, management and development of our natural wildlife. Plus download four free chapters. John W. Dover is our latest Routledge Featured Editor. Read our interview to discover more about his recent book, The Ecology of Hedgerows and Field Margins. "Our understanding of hedgerow structure, function, biodiversity and management is constantly evolving and the research described in the book is fascinating, and sometimes alarming in its implications." "We are optimistic that several book titles published under this new series will become classics in the field." Saturday March 30th is the day we celebrate Earth Hour. Between 20:30 and 21:30 local time is the moment to turn off your lights and reflect on the importance of nature. We have put together a collection of titles and opened up chapters for you to download for free, all reflecting on the importance of nature. To celebrate World Water Day, download free chapters from selected books and discover our curated collection of books, exploring subjects such as Hydrology, Water Engineering, Environmental Policy and more. You can also save 20% on our Environment and Sustainability collection by using code S037*. We are pleased to share with you our Q&A session with Walter R. Erdelen and Jacques G. Richardson, authors of Managing Complexity: Earth Systems and Strategies for the Future, 1st Edition. Find out more about how the field of sustainability is evolving today and what the inspiration was for the book. We are pleased to share with you a Q&A session with Graham Riches, author of the published title Food Bank Nations: Poverty, Corporate Charity and the Right to Food. Find out more about the inspiration behind the book and what the main developments are in this field of research. We are pleased to share with you a Q&A session with Jody M. Prescott, author of the recently published Armed Conflict, Women and Climate Change, 1st Edition. Find out more about the inspiration behind the book and what the main developments are in this field of research.